A deck is a great Aussie tradition. 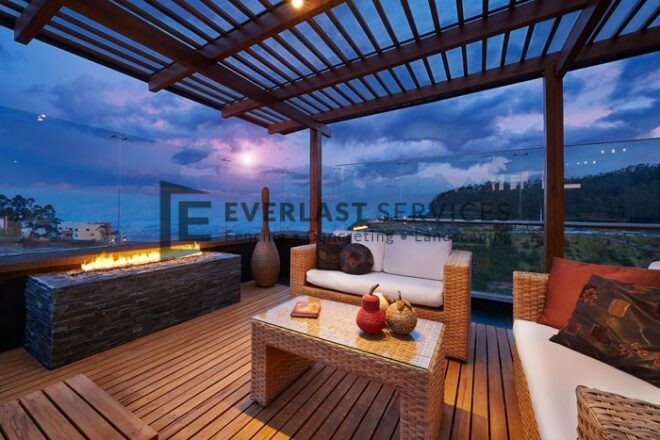 No backyard is complete without a beautifully built deck to hold barbeques, parties or family dinners all summer long. On top of all the personal enjoyment a deck can provide, they also add enormous value to your home and make for a wonderful addition to any backyard, no matter how big, small, green or grey it is. Everyone wants to know how to build a deck and you’ll be happy to know that building a deck isn’t as complicated as you might first think. But, if you’re going to build one, you need to build it right. That’s why we’ve put together the details below; so you can learn how to build a deck, straight from the mouth of the master deck builders at Everlast Services. This might be the part of the job that takes the longest. You need to choose the material you will use for the frame, as well as the material you will use for the deck itself. Steel is a popular option in Australia, especially for those who live in bushfire prone areas. Steel is also popular because, unlike wood, you don’t have to deal with natural variations like bows and curves. Steel is straight, strong and lasts forever. It is a little more expensive as it does have to be cut and fabricated by a specialist, but thankfully, our steel fabrication team can provide this service for you at an unbeatable price. Hardwood is being used less and less for decking frames these days. It is expensive and people often save this beautiful timber for the part that people will actually see – the surface of the deck. However, good quality hardwood is legendary for it’s toughness and you can get it in enormous spans to cater for even the biggest of decks. Treated pine is far and away the most popular choice of material for decking frames, and if you want to build a deck yourself for as little cost as possible, it’s a fantastic option. If it is treated correctly, it will last forever and because it’s hidden underneath, you don’t have to worry about any snobby mates criticising you for going with the cheaper option. If you’re hiring someone to build the deck for you, it’s worth noting that constructing a treated-pine frame is more labour intensive due to all the fitting and nailing. So even if it’s cheaper than steel, the cost of labour may mean the end price is fairly similar. There’s no two ways about it, hardwood is expensive but when you catch a glimpse of a Jarrah or Merbau deck, you will quickly see why people are willing to hand over so much cash for a piece of wood. There is nothing quite like the visual appeal and feel of hardwood and if it is treated and maintained properly it will stand up for a long time. If you want to keep costs down you can use hardwood for the railings or for certain areas of the deck that you feel warrant this beautiful material. Treated pine can be treated and varnished to make it look like hardwood and it is incredibly durable. Definitely an option for those who are building on a budget. Find the perfect spot, remembering to check for drainage and any external plumbing. Obtain council approval and make sure you are aware of the location of any wiring or pipes so you don’t cause a catastrophe when you start the dig. Carefully mark out the length and width. Use string lines to mark out the deck and create markers for the posts. Dig out the post holes in accordance with the string lines and rip up any grass within the area. If your deck is going to be more than 180cm high, you’ll need some solid pieces of timber to act as load bearers. Set the bearers at the correct height. The best way to ensure accurate height is to measure the thickness of the joist and the decking timber and then place the bearers just below where the joists will sit. Fix bearers to the posts, or use joist hangers to fix any bearers that wont be attached to a post. If you have an open space you can make the frame and then simply lay it on top of the joists and bearers, otherwise you can construct the frame as you go along. Use timber nuggings next to each joist to add to the strength of the structure. Begin laying the deck across the joists and use galvanized nails to fix the deck. Make sure you leave some overhand outside of the frame to make the finish easier and use a piece of wood to ensure the slats are evenly spaced. Saw any excess wood in accordance with the marking string line. Now it’s time to start enjoying your new deck. Treat the deck with the love it deserves by staining it every 12 months and your deck will pay you back with years of good times, memories and fun in the sun. If you want the perfect deck built for you, Contact Everlast Services today and take advantage of our excellent craftsmanship, quality materials and our promise to beat any quote cheaper than ours by 5%.